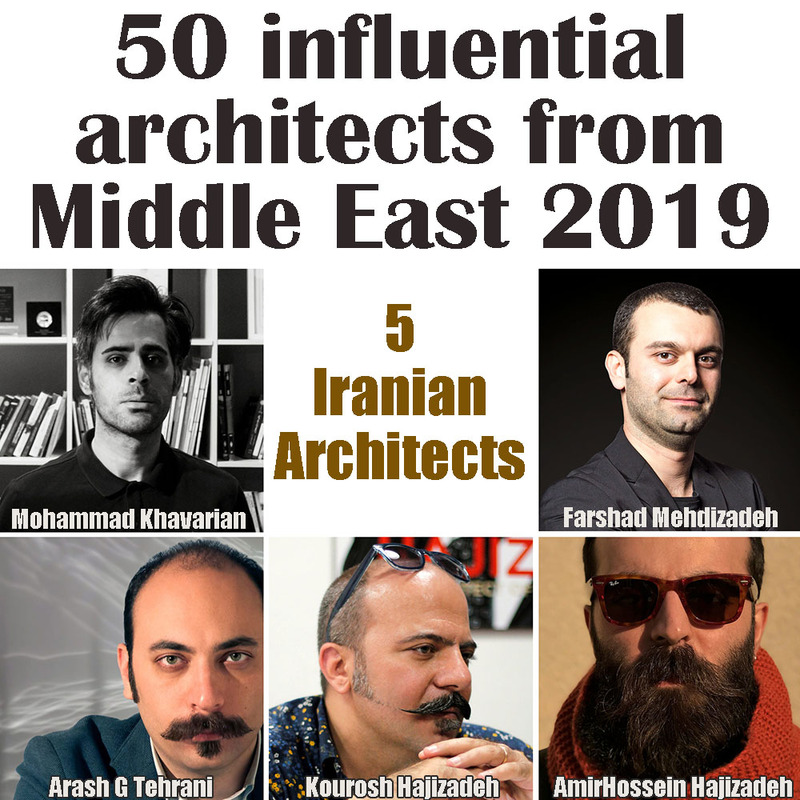 PayvandNews – Five Iranians have been named among the 50 most influential architects of the Middle East in 2019, according to a list published by the Middle East Architect (MEA) magazine. The magazine named Mohammad Khavarian, Kourosh Hajizadeh, Amir-Hossein Hajizadeh, Farshad Mehdizadeh and Arash G Tehrani as Iran’s influential architects in the Middle East region. Working across architecture, urbanism, interior design and research, Khavarian, MEA’s Architect of the Year 2018, imbues his practice with an ethos centered on critical thinking, extending beyond the boundaries of architectural production to realize specific and unexpected solutions. Founder of the award-winning Tehran-based architecture firm Hajizadeh & Associates, Kourosh Hajizadeh published a book titled “Dooman” in 2001 which explores the lost culture and historical values of the Iranian city of Tabriz and included many of his personal sketches. Amir-Hossein Hajizadeh has served as lead architect since 2013. Through design, he aims to create events or interactions within communities and dialog between people and place. Director and co-founder of the FMZD, Mehdizadeh was the MEA’s Architect of the Year 2017. Through its projects and research, the 13-person team at FMZD hopes to define a new dynamic between architecture and metropolises, increasing the interaction between context and architecture. Since founding his namesake design studio in 2013 in Iran, Tehrani has worked to establish a humanitarian, research and design-driven practice. The firm’s achievements include the creation of cheap and easily-assembled shelter for victims of war or natural disasters, as well as the homeless. The Middle East Architect is a monthly magazine that delivers news, data, analysis and strategic insights for architects.